They’re not the words you would expect to hear from an apiarist and Mark Rosenzweig chuckles at the irony. 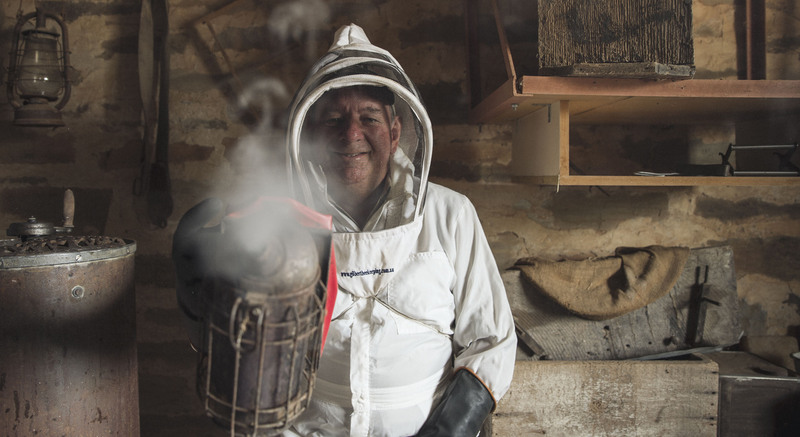 Yet it is the humble bee that has put this third generation Moculta farmer into the history books as the only beekeeper in Australia, one of less than a handful in the world, still using original German “Berlepsch Dzierzon” beehives named after the two monks that pioneered the system. “They’ve been here as long as the Rosenzweigs have,” says Mark. The wooden boxes, some more than a century old, are permanently housed undercover and have rear door access to the honey laden frames within, rather than the common top entry of those seen dotted around the landscape. 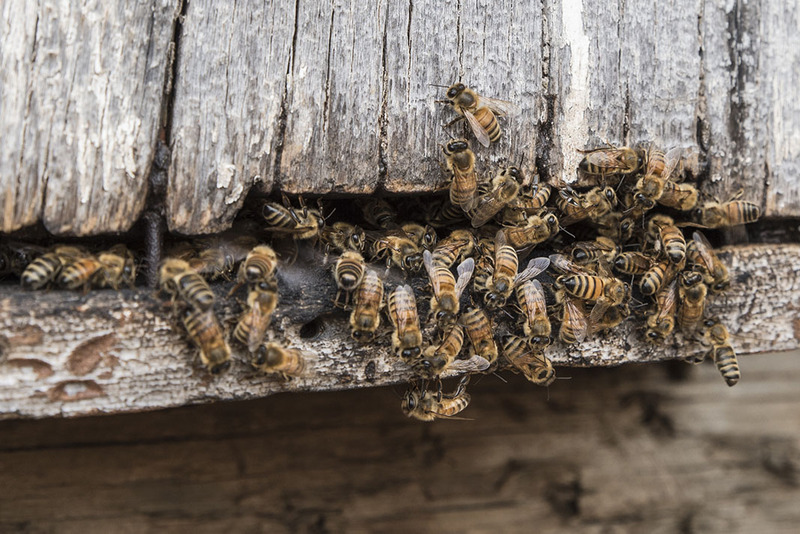 “My father and grandfather kept bees in upright boxes in sheds, the same style as the original apiaries in Germany,” explains Mark. 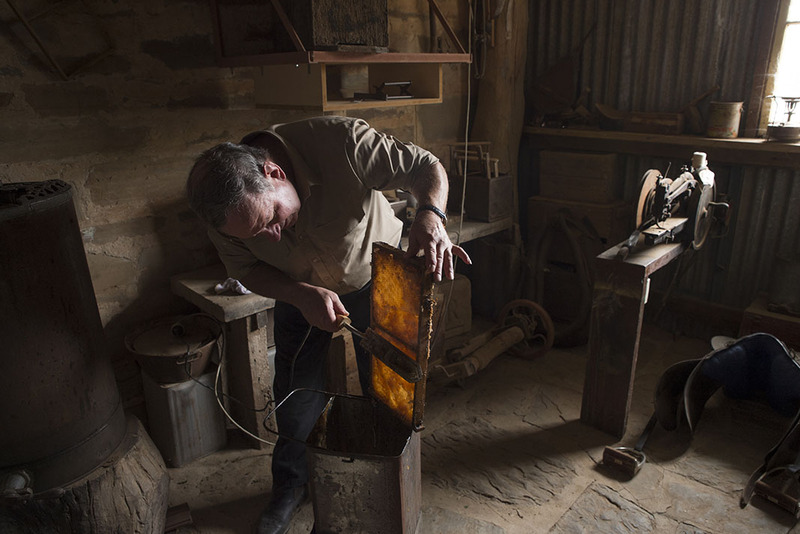 Mark still uses the same old equipment used by his forefathers and it seems the flavour of the honeycomb’s sticky, sweet contents remains unchanged too. 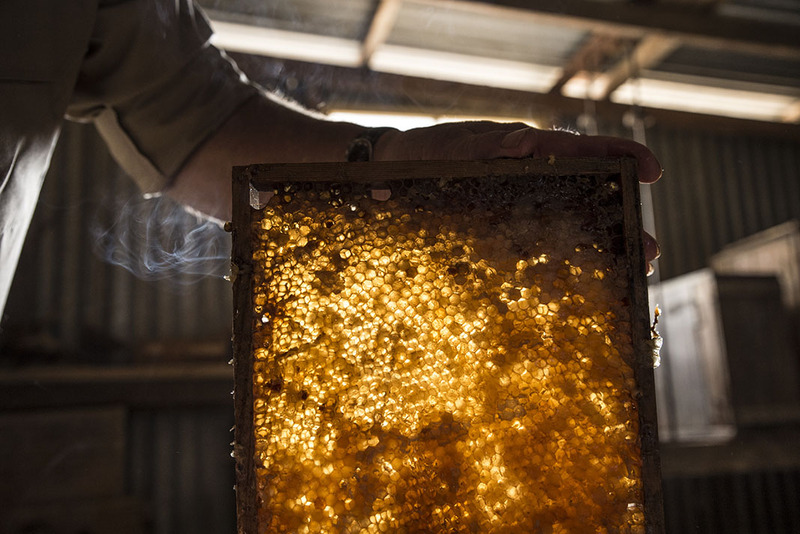 “A New York food and wine magazine named it single estate honey because the bees have gone to the same area, three to four kilometres around, for the last 118 years,” says Mark. He describes the challenges such an apiary faces with its success so strongly reliant upon weather. It begs the question, why hasn’t there been a change to modern, mobile boxes? “I love history, I love tradition. I have been told by a German student that we are more German than the Germans!” he laughs heartily. 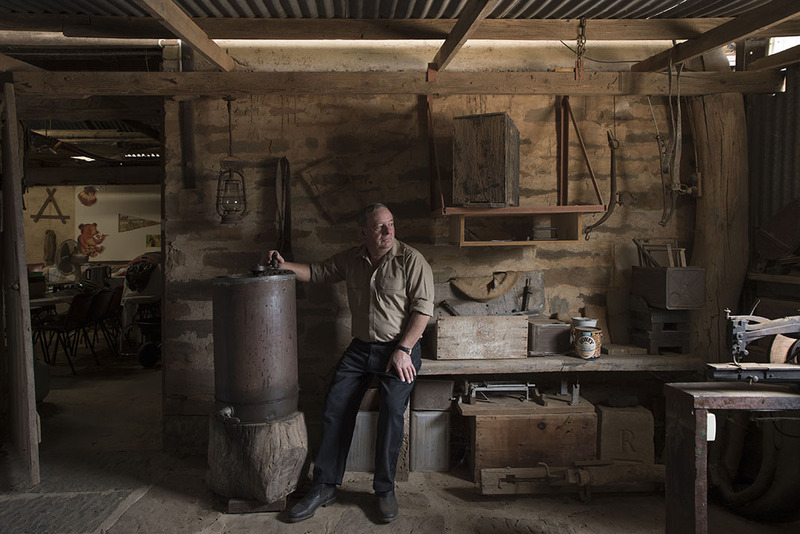 This sentiment is central to the lifestyle Mark and his wife of nearly 37 years, Gloria lead at “Rosie’s Farm”, where food like sausages, mettwurst, ham, bacon and streusel kuchen are still made the traditional Barossa way on special occasions. With such strong family connections to the 350 acre property, Mark says he sees himself as custodian rather than owner, as he takes a rare moment to relax in his lounge room, with its thick stonewalls and low doorways. before Rosenzweigs set foot on the land. The honeycomb from one of Mark’s traditional German “Berlepsch Dzierzon” beehives. a strict, traditional rural Barossa Lutheran family. “From when I could toddle, I was out on the farm with dad,” he says explaining how his father, being proficient at many trades because he was “one of those old handy and frugal Germans”, took him under his wing for “on the job training”. By the age of six Mark had picked up an arc welder and soon learned how to make things he didn’t have. “New materials were non-existent, so old items were dismantled and materials were salvaged and re-purposed, hence my hording habits…It might be useful one day!” he laughs. dad, older siblings or neighbours. But he knew there were certain things you didn’t talk about. Clothing was handed down with “patches on patches” and he says his wardrobe was “hardly fashionable”. Volunteering on committees and at church was part of life from an early age and dinner was always eaten at the table together as a family. It set a precedent for life. “Mum grew this huge vegetable garden, supplied us and half the neighbourhood! We never knew what it was like to be hungry,” Mark says. He remembers pedaling his pushbike up the hill to hand sew bags for wheat and throwing his bike over the fence to ride the “two miles” to and from Moculta Primary School, wondering how it was possible to cop a head wind both ways, on the same day. School, with its “28 kids, seven grades and one teacher”, taught Mark life skills. 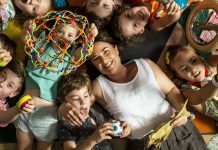 “We did all the gardening, mowing and cleaning… even fought fires in neighbouring paddocks. 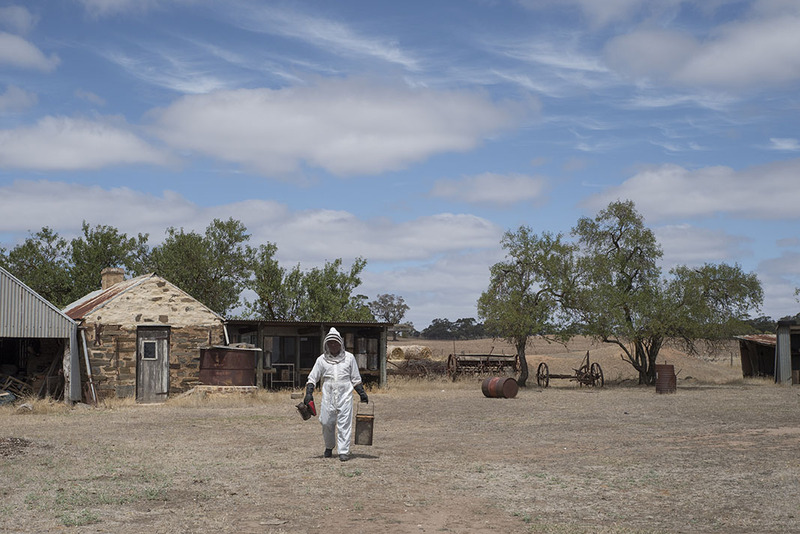 The bees that create Mark’s ‘Single Estate’ Honey – Described by a New York food and wine magazine due to the bees going to the same area, three to four kilometres around, for the last 118 years. After two years at Nuriootpa High School, Mark left, aged of 15, intent on working on the family farm as his father became unwell. “How wrong that proved to be!” he says. 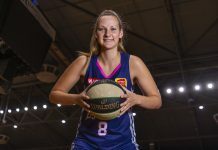 Within days, he was called to Gawler Park Fruits in Angaston, where he would meet his future wife, Gloria and complete nine fruit seasons in eight years. “I became their welder, carpenter and mechanic, in addition to supervising casual staff,” Mark says..
“Along with fat lamb and wool production I grew grain and hay crops, binding, stooking loads of sheaved hay, leaving at daybreak to take the loads to the Greenock chaff mill, before starting back at work in Angaston at 7 a.m.
“We did everything…we cut it down, dug it out, rearranged, refurbished, constructed, modified…and cooked the barbies. He’s set to retire from his position as Facilities Officer this year and whilst you might think his life has been busy enough, Mark is about to list all the other things he and Gloria have packed into life over the years, including raising their two children, Amanda and Paul. They’ve hosted at least seven international students on up to 11 month exchange programmes, creating lifelong friends, prompting visits “from all the extras” and effectively extending their “family” to Germany in the process. And has he mentioned their weekend catering venture “Rosie’s Roasts”? They’ve served around 60,000 meals over almost 30 years now. Then there’s the Vintage Festival events hosted at the farm over the past 10 festivals showcasing the apiary, their “zoo of animals” and German traditions that attracted 1,500 visitors last year. Heritage Hotspots skits, based on real events that took place in the Barossa years ago, including that time when “hoodlums” locked a police officer in a stripper one New Year’s Eve, pushed him through Goat Square, down into the creek, only to be found next morning by a woman watering her garden. Volunteering for fundraising events like four-wheel drive rallies for the Kidney Foundation have allowed the couple to enjoy travelling across the Australian outback on a shoestring budget and there have been trips overseas, thanks to the many connections and friendships made over the years. to watching embers fall from a blood red sky, hose in hand, as the Eden Valley fire threatened and learning remedial massage to help Gloria recover from an “horrendous stroke”. Life has been hectic and full of ups and downs. “There’s many facets to our lives, that’s why we are so tired!” laughs Mark. “If I’m honest, I wouldn’t have it any other way. I suppose it’s like the old saying, if you want a job done you ask a busy person and I guess that’s where we fit in.